Field Team using the Griffith's Gnat to take a limit of trout 23 December 2016. Also, caught a limit using Gold Super Dupers, too! Griffith's Gnat - Too Simple Not To Pass Up! 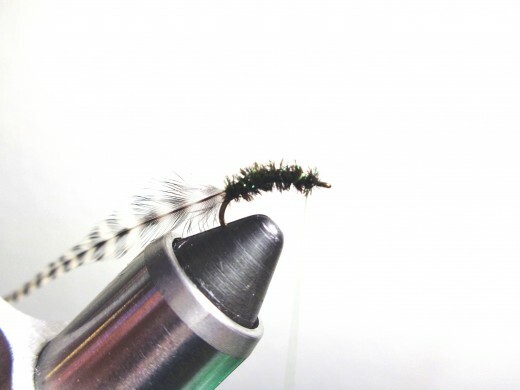 Developed by one of the founding fathers of Trout Unlimited - George Griffith, this midge dry fly is an effective pattern that imitates a cluster of midges floating on the water's surface. A time tested producer of fish since its inception in the 1950s, for beginner fly tyers, this pattern is too simple not to pass up! In a fit of making do with what you have, here is a variant of the Griffith's Gnat that uses a Size 12 Caddis Hook and Olive Tying Thread. This variant was created when one of the COAF Field Team Members was fishing for Bluegill that were feeding on bugs that had fallen on the water's surface. After "looks but no takes" by the Bluegill at several dry fly patterns, he decided to head to the fly tying bench to try to match the hatch. In a rush, he opted to try a Griffith's Gnat because of it's simplicity. 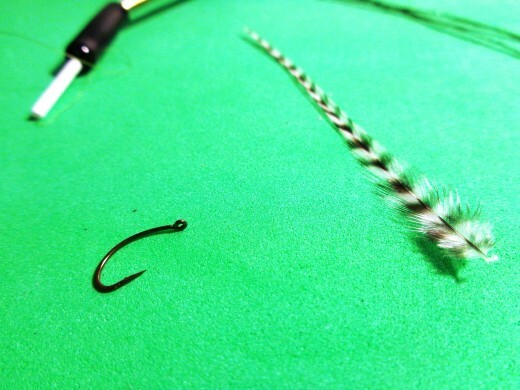 However, short on dry fly hooks and black tying thread, he used what was available - caddis hooks and olive tying thread. Luckily, the caddis hooks were in size 12 which matched the size of the bugs the Bluegill were feeding on! Do give this one a try. For ease of reference, the Team calls it the COAF Griffith's Gnat. 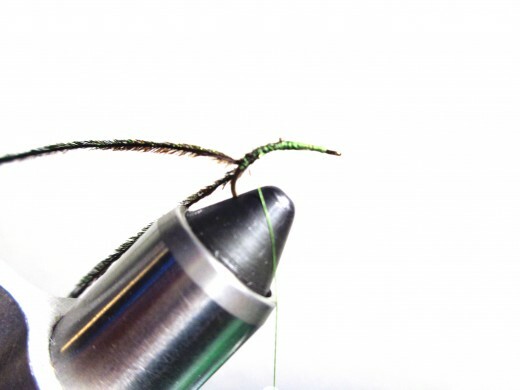 Lay a thread base along the Size 12 Caddis Hook. Stop wrapping the thread just past the bend, and then back to the start of the bend. 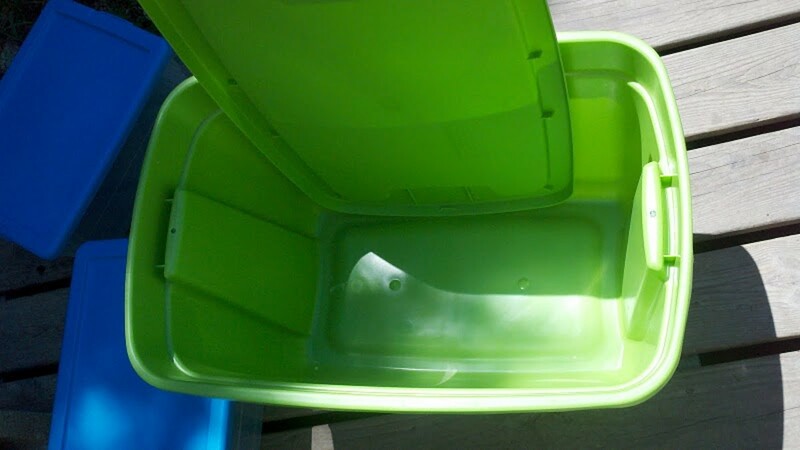 Step 1 is completed and should look like the picture in the sidebar. Next, add the two Peacock Herls as shown in the picture in the sidebar. 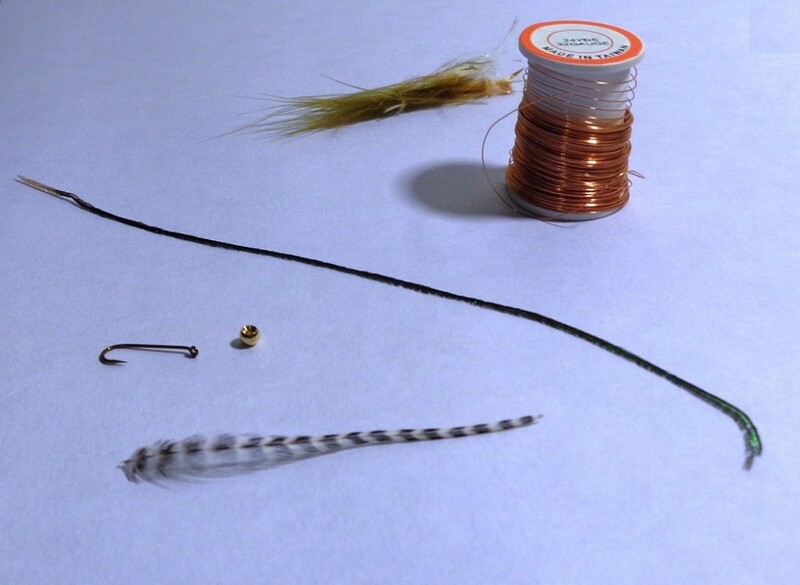 Note: Some Fly Tyers prefer to add the Grizzly Hackle first. This is personal reference and does not detract from the pattern's effectiveness. Next, add the Grizzly Hackle. Secure it with several wraps, and then continue to wrap the thread forward. Stop just behind the hook eye, and then proceed to Step 4. 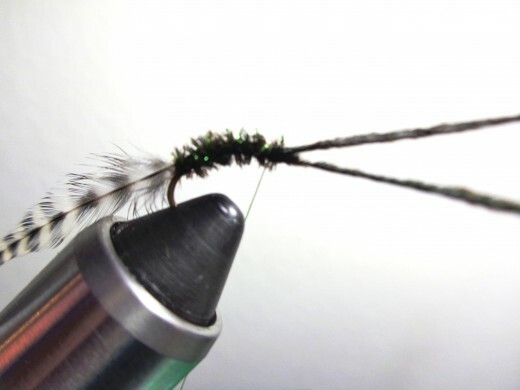 In Step 4, the fishing fly's body is formed by taking both Peacock Herls and wrapping forward. Make each wrap in front of the other to form an even body. And then, stop behind the hook eye and secure it with several wraps of the tying thread. 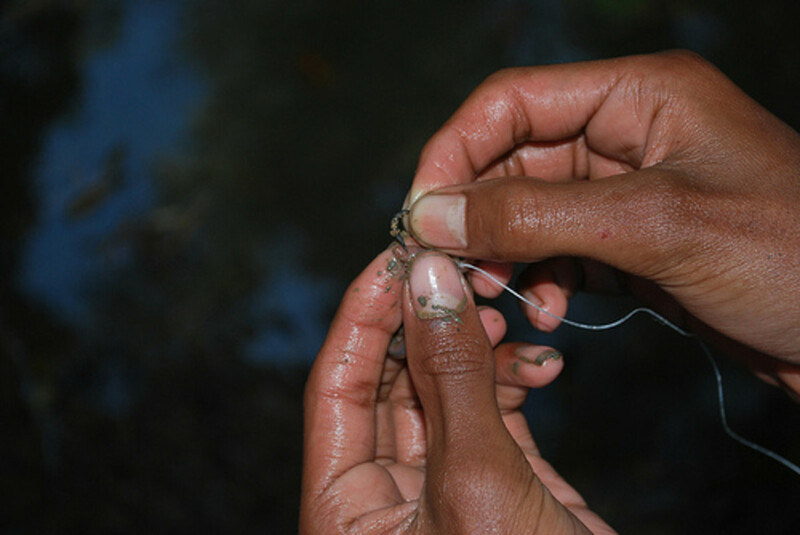 If desired, use a half-hitch to hold the herl in place in preparation for the next step. Finally, trim the herl to complete Step 4. 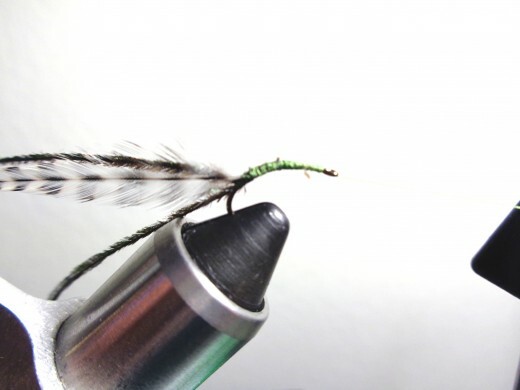 In Step 5, the fishing fly's "wings" are formed by taking the Grizzly Hackle and wrapping forward. Make each wrap one in front of the other and evenly spaced. 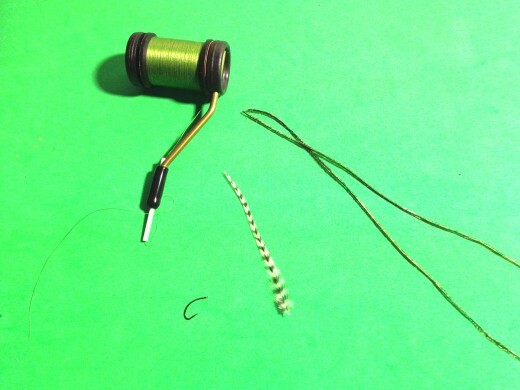 Stop behind the hook eye and secure it with several wraps of the tying thread. Then trim the hackle, cut the tying thread, and then whip finish and apply head cement. Once the cement is done, the fishing fly is done! 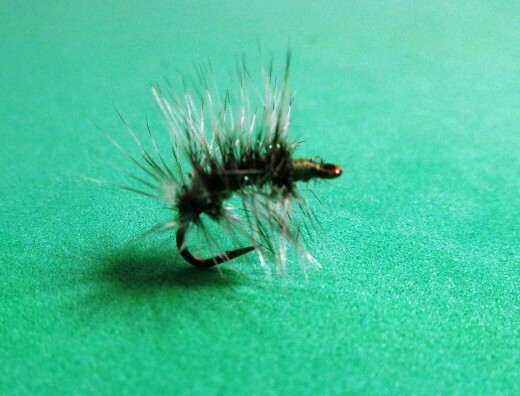 PS: Do check out the video below on how to tie the "Traditional Griffith's Gnat". 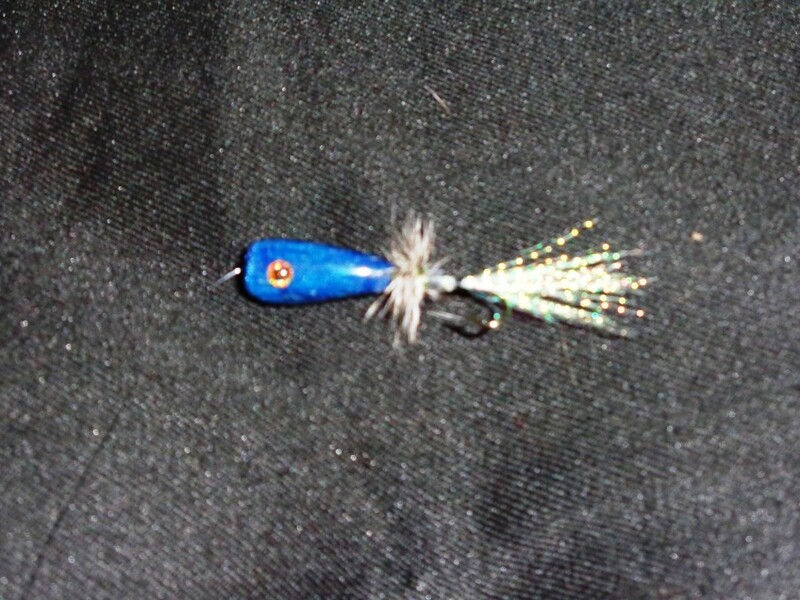 Finished Griffith's Gnat on a Caddis Hook! When fishing the Griffith's Gnat (traditional as well as caddis hook), here are a few suggestions from the COAF Field Team! After casting, let the fishing fly sit in place without retrieving it. As it sits quietly, pay close attention for any sign of a strike and be prepared to set the hook. 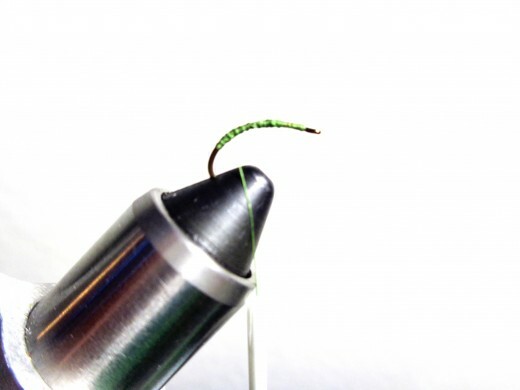 Use a short, pull of the fly line to simulate a struggling insect on the water's surface. Between each pull, count to 5-10. Do this until you determine what works best for a given outing. When fishing for spawning Bluegill, let the fishing fly hover over the nest, giving it a slight twitch to trigger a strike. Be sure to match the hatch and adjust the size of the fishing fly to match the insects that are hovering about where you are fishing. PS: Do check out the videos below for an idea how we fish the Griffith's Gnat on a Caddis Hook! What size Griffith's Gnat do you prefer? Griffith's Gnat on a Caddis Hook Made a Difference This Round! Posted recent video using the fishing fly to get a limit of trout. Trout were feeding on/near the surface. Made the difference this round! Interesting - seems like that man caught one right after another! 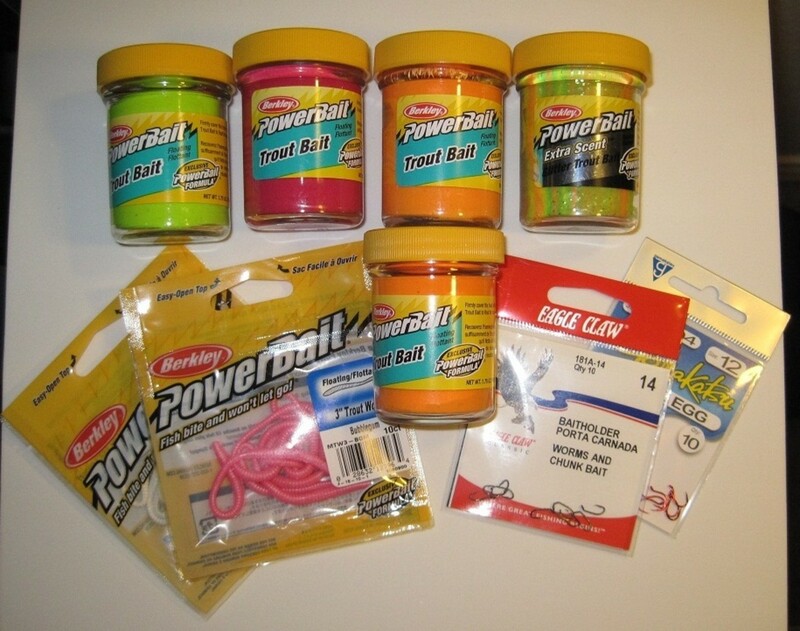 I grew up freshwater fishing and learned saltwater fishing over the past 11 years. I've never tried fly-fishing, although I've always wanted to. I think it would be fun to make a few of the hooks used, too. Was out fishing this evening; slow action at first, and then things picked up when the Bass and Bluegill started feeding on little bugs on the water's surface. Do check out the action in the video posted in the section "Griffith's Gnat on a Caddis Hook Made a Difference This Round!" of this article. 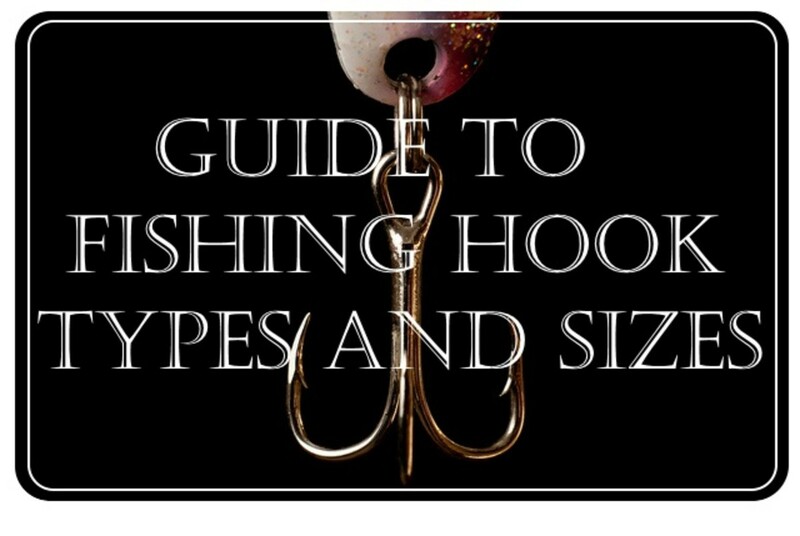 Here is one that we hope Readers find useful; works well on Bluegill in the Spring!